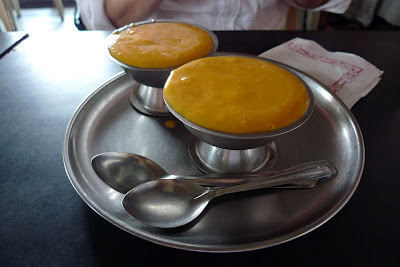 Right by Chowpatty Beach (a real beach in the heart of Bombay), we had Mango Amras. I'm not really sure what it is but it tastes amazing. It's like a cold puree of mango, but it probably has some milk in it. 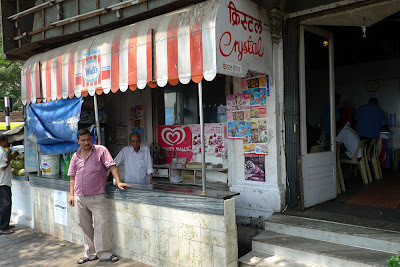 It was from this place. "I wouldn't swim in there if I were you." 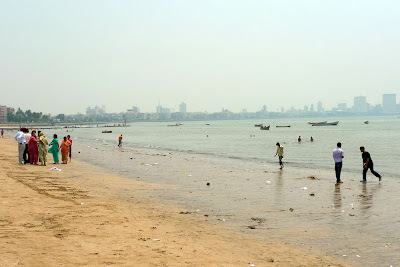 Marine Drive and Churchgate area in background. Oberoi Hotel on far right. 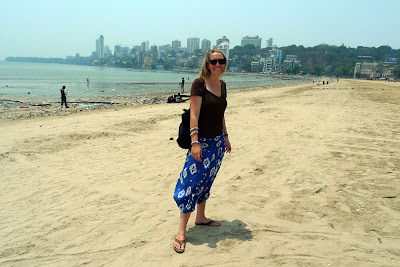 Posh Malabar Hill in background.